The success of digital transformation projects are being stalled by the fear of the impact and rising costs of breaches associated with “data on the go”. According to new research from Kaspersky Lab, safeguarding data in the cloud is continuing to present new challenges for businesses, with the most expensive cybersecurity incidents over the last 12 months related to cloud environments and data protection. In an effort to enable digital transformation without compromising on security, businesses are now prioritizing IT security spending. In 2018, enterprise companies are allocating up to 26% of their IT budgets to cybersecurity, redefining the strategic role of corporate data protection. The 2018 state of corporate IT security economics mirrors the shifting impact of cybersecurity on the business bottom-line. 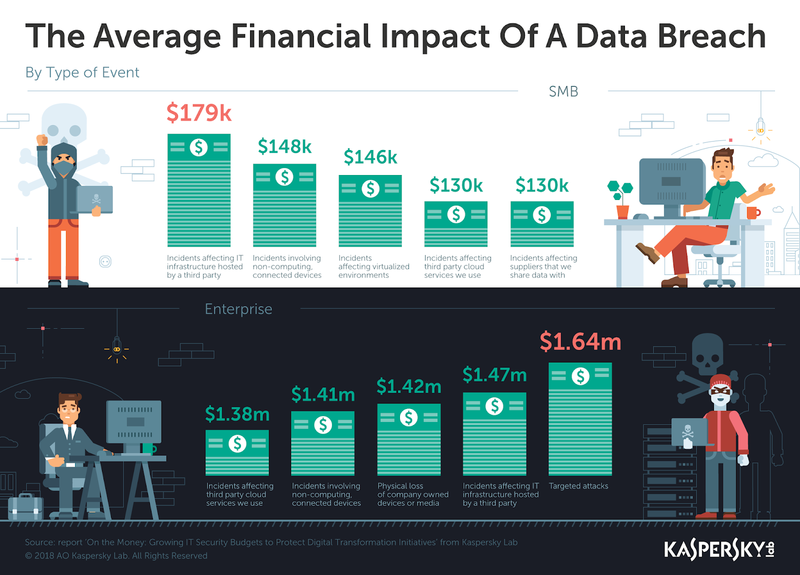 With the consequences of data breaches becoming more expensive and destructive, during the last 12 months, businesses faced a disturbing reality: for SMBs, the average cost of a breach reached $120K in 2018, which is 37% higher than in 2017 ($88k). For enterprises, it increased by a third (24%), with the average financial impact of a breach now reaching up to $1.23 million. These increasing costs are a concern for businesses amidst today’s digital transformation wave where cloud infrastructure is continuing to increase in prominence with 45% enterprises and 33% SMBs having either already raised or are planning to grow their use of hybrid cloud in the next 12 months, notwithstanding the data breach risks highlighted earlier. 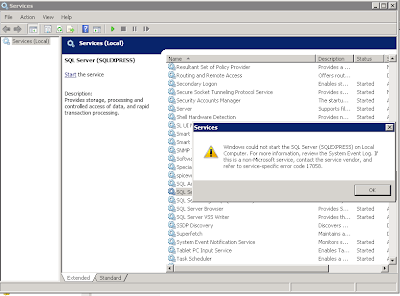 With the cost of IT incidents on the rise, businesses are realizing that they have to prioritize cybersecurity spending if digital transformation projects are to run smoothly and securely. This is illustrated by the growth in IT security budgets in 2018, which sees enterprises spending almost a third of their IT budget ($8.9M) on cybersecurity. Interestingly, despite traditionally being viewed as the lowest spenders on IT security, VSB raised from $2.4k to $3.9k over the last 12 months.